CBD Infused Beauty: CBD is the ingredient of the moment, especially in the beauty industry. With powerful antioxidant and anti-inflammatory properties and the ability to rejuvenate skin/hair the trend has tuned into a full-on movement. From CBD hair products, Mud Masks and even CBD Water & pet products, it was all seen on the floor! Men’s Grooming: The floor was abuzz (quite literally) with men’s grooming. Between the demos and live competitions at the Grooming Pavilion, fine lines and fades were the name of the game (with a refreshing approach to men’s skincare as well)! Here we saw the revival of men’s upkeep, planting their strong steak in the beauty industry. Prism COLOR: The brands at IBS let their true colors out in hair, makeup and nails. Live bodypainting demos grabbed event-goers attention, while rainbow-bright hair was the talk of the town – whatever it was brands made a splash of color, which will be HUGE when looking towards spring and summer. Planted-Based and Sustainable Skincare: Sustainability in the beauty industry has become a hot topic due to a rise in environmental awareness, new global standards, its profitability and consumer demand. On the show floor, we saw that sustainability isn’t just about products being organic or natural it’s also thinking about the long-term impact of the ingredients and their impact on the environment. 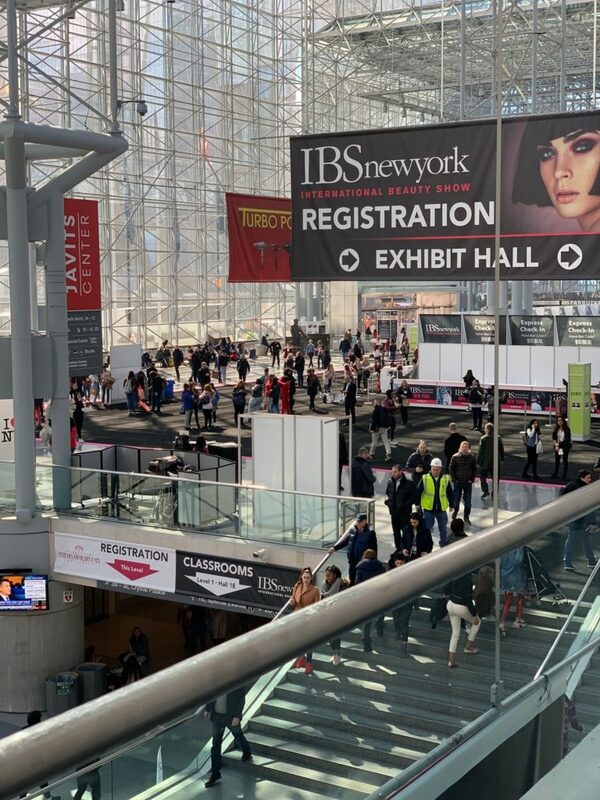 K-Beauty: Korean Beauty stayed the steady trend at this year’s IECSC & IBS shows. This year we saw a greater evolution in the category including advances in LED technology, micro-current technology and of course the latest in sheet masks and skincare finds! LED: Whether it’s at home or in the comfort of a doctor’s office, during this year’s IECSC we learned that LED lights can be used not only to correct skin issues such as redness, acne scarring, fine lines, etc. but is also the next big thing in pain management! Perfect for join or muscle issues, LED is a treatment anyone can benefit from. Rachel Breton Hamlett serves as the Online Editorial Director for www.newyorktrendnyc.com. She is a native New Yorker who loves music, movies, fine dining, travel, beauty, fashion, health & wellness. Reach out to her at rachel@thenoteworthygroup.com.